New clip and character posters from "Suffragette"
With the U.K. premiere of Suffragette just around the corner, we're getting a nice crop of promotional pieces each week. Today, a new clip and five character posters were revealed on Indiewire. I'm not able to embed the video so check it out on the site link. Just a brief interaction between Carey Mulligan and Helena Bonham Carter. All five new posters can be seen on the link. The film hits U.S. theaters on October 23. The always reliable Akron Beacon Journal (?) is reporting that Ricki and the Flash will be released to Blu-ray, DVD and digital HD on November 24. I think I had posted previously that we were expecting November for this so I'm not particularly surprised by the date. The film is currently still playing in a handful of theaters, and as this goes to print has grossed just short of $27 million at the domestic box office. With a budget of $18 million, it's by no means a huge success, but at the same time not a flop. Add another $11 million in foreign markets and assuming there wasn't a boat load spent on international advertising, it's not half bad. Looking forward to getting my own copy! Yesterday I noticed that some B roll has been released for the filming of Suffragette. There's a bit of Meryl around the 6:00 mark. Not particularly spectacular, but a good reminder that the film will be in cinemas in just a couple of weeks! Do we dare speculate on the possibility of awards potential for Meryl's small, but meaningful role? For the second time this year, Meryl will sit on Graham Norton's sofa. In January it was to promote Into the Woods. 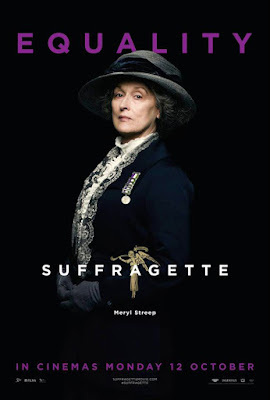 On Oct 9, it will be to promote Suffragette. Nicole Kidman will also be a guest. Not that this is incredibly exciting news, but I think The Graham Norton Show is absolutely hilarious, and it'll be great to hear Meryl discuss the film. I think she's going to do A LOT of press for this pic. Can you not totally see this as her Oscar clip? Mulligan is getting great reviews thus far. I'm really hoping this film does very well with both critics and in cinemas. If it's successful, it may open the door to the possibility of Meryl eventually portraying Susan B. Anthony on screen. I kind of forgot how soon we'll be able to view this! For a nice change, those of you in the U.K. will get to see it before we Yanks do. It opens October 12 in the U.K. and the 23rd here in the states. Getting excited for it. Among other sources, Deadline is reporting that Paramount Pictures has acquired the U.S. distribution rights to Meryl's recently completed film Florence Foster Jenkins. The shopping grounds were in full swing at the Toronto International Film Festival this weekend, where a portion of the picture was screened last night for potential buyers. No word on how much was forked over in the deal. Apparently it was one of the hottest prospects at the festival. Directed by the great Stephen Frears, Hugh Grant also stars. Paramount has not announced exactly when it plans to release the film in cinemas in the U.S., but 2016 seems likely. Sort of related, also purchased at TIIF this weekend was the movie Miss Sloane, set to be funded by EuropaCorp and ready for production in 2016. I'm including info on this because the film, to star Jessica Chastain, is evidently about a lobbyist pushing for stricter gun control laws. This description sounds very similar to a film Harvey Weinstein claimed he wanted to make with Meryl last year entitled The Senator's Wife. I have been unable to find any info on whether or not this is the same script or completely unrelated. Regardless, if Miss Sloane ultimately comes to fruition, I don't imagine Meryl being involved in a project that so closely resembles it anytime soon. New U.K. trailer for "Suffragette"
Inspiring scenes and music. Some good screen time for Meryl, considering her part is not much more than a few minutes. With the mostly positive reactions thus far, I am very much looking forward to this picture. Meryl Streep received a standing ovation last night introducing Suffragette in its world premiere at the Telluride Film Festival in Colorado. Almost immediately after the screening, the online universe was of course inundated with Twitter reactions. I'll attempt to summarize what the majority of audience members are saying. Suffice it to say that the reactions have been very positive. Many kudos for director Sarah Gavron's work as well as for the remarkable cast. Carey Mulligan is repeatedly singled out as best in show, which bodes well for awards recognition. 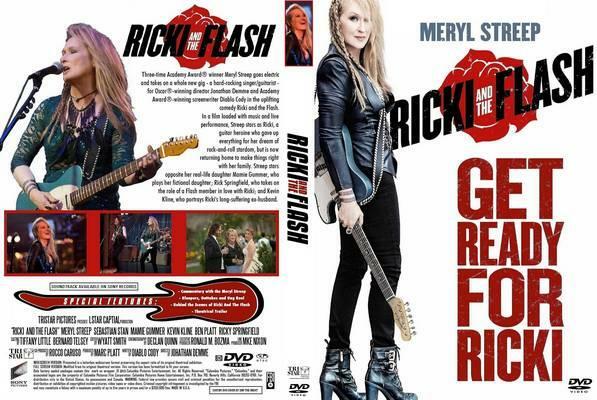 It's confirmed that Meryl has a very brief, albeit exciting, role. I hope these early reactions become a consensus when the film opens worldwide later this fall. The subject matter is an important period in history and good word-of-mouth will no doubt get more butts in the seats. Below I've linked official reviews/opinions from a few reputable sources. The Guardian is reporting that Suffragette will premiere at the Telluride Film Festival tomorrow, September 4. 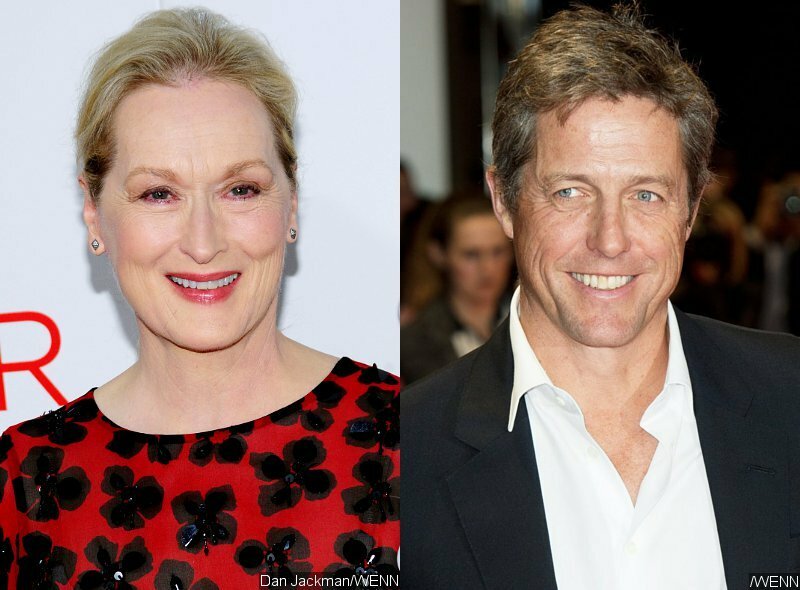 In addition, Meryl will be on hand to introduce the film with director Sarah Gavron and screenwriter Abi Morgan. When I saw the article this morning I thought maybe I totally spaced on this debuting in Telluride, but I think this is actually news, as the Festival schedule was just released today. Very excited to hear some reactions to the film! Stay tuned. I particularly enjoyed the trouble she had with the crucifix in the scene from Doubt and her cat-like soprano in Mama Mia! I always enjoy references to Meryl, even if it's silly.